THE Brisbane guardians of a toddler born on Manus Island have been told he can stay in Australia until at least next January. It’s a temporary reprieve for two-year-old Mackalistair So-On, who was left by his biological mother and father in the care of Karen and Craig Wells during a trip to Brisbane last year. The couple has been fighting to keep “Cal” in Queensland since his visitor’s visa expired in March. Attempts to secure an orphan visa were rejected. The toddler was placed on a bridging visa, and they were told Cal could be deported before the end of September. Mr and Mrs Wells have mustered strong community support, including the backing of the childcare centre Cal attends in Deception Bay. Supporters have tried fundraising to lighten the burden of legal fees involved in the immigration process. 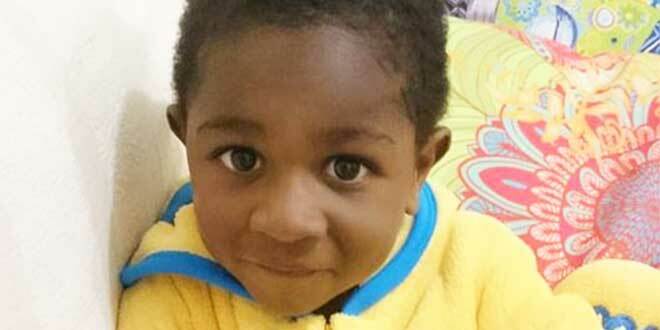 “The sad reality is he is very much loved and wanted child in his Australian family and our wider community within the Moreton Bay shire,” Community Kids Deception Bay Child Care Centre posted on the gofundme website. A petition started by Cal’s day-care teacher Katie Voight pleaded for the Immigration Department to allow the toddler to stay. “Craig and Karen Wells adopted Cal as a toddler to save him from being sold to a village in (Papua New Guinea) by his biological parents,” Ms Voight said on the online petition. “It’s frightening. If little Cal’s deported he’ll have no family to support him and we’re fearful he could get traded between villages. The Immigration Department has extended Cal’s bridging visa until January, and the Wells family was told Immigration Minister Peter Dutton is the only person with the power to keep their “adopted” son in Australia. If Mr Dutton does not make a decision on their case by the January deadline, Cal’s visa is expected to be extended again. “We are looking at that as a positive,” Mrs Wells said. In August an Administrative Appeals Tribunal upheld the Immigration Department decision to reject an orphan visa. The Wells’ were told the grounds to grant an orphan visa was that they had to be related by blood to the toddler.